My jewellery partners offer a convenient drop off point for jewellery items that require valuing, whereby a home visit would not be convenient or viable. Please note the jewellery partners have their own fee structure. Zelleys are a family run independent jeweller, established in 1910 and situated in the busy market town of Bishop’s Stortford. Zelleys are ideally situated for customers travelling from Hertfordshire, Essex and Cambridgeshire. Having been established for over 100 years they have built up an extensive portfolio of international watch and jewellery brands. At Rachel Jeffrey Contemporary Jewellery, we pride ourselves that every piece is designed and made on site in our workshop, conveniently situated next to our Wheathamptead shop. Thankfully, hand craftsmanship is valued as much today as ever and through the personal touch of the maker, customers feel they have a piece of true worth. In the City of London. Between them, the Executive Directors, Nigel and Steve have a wealth of knowledge and expertise in all areas of contemporary and vintage jewellery and silverware. Their enthusiasm and passion is apparent on every visit to Searle & Co’s welcoming shop on the Cornhill side of the Royal Exchange. The iconic building that stands proudly on London Street in the heart of Norwich City centre is the home to WR Bullen Jewellers. The Hemstock Family continues the stewardship of Bullens, bringing with them a fresh portfolio of suppliers, workshops, experience and knowledge to compliment the existing collection. Namely a very popular bespoke jewellery service using hand-painted or CAD design drawings to bring your ideas to life. M&P Insurance Solutions’ individually tailored personal insurance policies attract clients that include royalty, celebrities and some of the wealthiest people in the world. These clients choose M&P Insurance Solutions, because they know that the private client team is dedicated to sourcing secure cover for every situation, however unusual. Clarke Williams offer a quality and personal service to all clients, we try to arrange visits to suit our clients lifestyles and create insurance solutions tailored to their exact needs. We can cater for all clients and use a carefully selected panel of insurers to guarantee peace of mind for our clients. As a leading Independent Insurance broker and Risk Management specialist, we have the capacity to handle a broad range of risks. Building on our heritage and service proposition of trust and integrity, we provide insurance solutions to over 4,000 clients with access to all types of Insurance markets. Hiscox is headquartered in Bermuda and is an international specialist insurer, underwriting a diverse range of personal and commercial insurance risks. We have a long history and expertise in providing specialist home insurance cover for homes and their contents, valuables and collections. In fact, we provide home insurance cover for over 60,000 homes in the UK.  Hiscox is headquartered in Bermuda and is an international specialist insurer, underwriting a diverse range of personal and commercial insurance risks. We have a long history and expertise in providing specialist home insurance cover for homes and their contents, valuables and collections. In fact, we provide home insurance cover for over 60,000 homes in the UK. T H March offers a wide range of commercial and personal insurance products to suit the needs and requirements of all kinds of people and organisations. The Primassure Group is a dedicated team of international insurance brokers. Founded in the UK, the group’s executive team who run the company have all worked for the world’s major insurance brokers in the City of London for around 20 years. With the support of some of the industry’s largest insurers from Lloyd’s of London to Allianz, Munich RE, AXA and Zurich, Primassure was formed. Oxford, Cheltenham, Abingdon and Burford. Since 1788 Mallams has been holding specialist, fine art and more general sales. Today our specialist and general valuers offer expert advice in many fields. Bellmans was founded in 1989 and over the years has grown to become one of the largest auction houses in the South of England. The saleroom in Wisborough Green, West Sussex is situated between the cities of Guildford and Brighton, only eight miles from the historic town of Petworth and its antiques shops and restaurants. Hansons hold their auctions at their modern, showroom on Heage Lane, Etwall, Derbyshire. This impressive building comprises a large auction showroom, with catering on viewing and sale days. The room will seat 150 people, with ample car parking space.